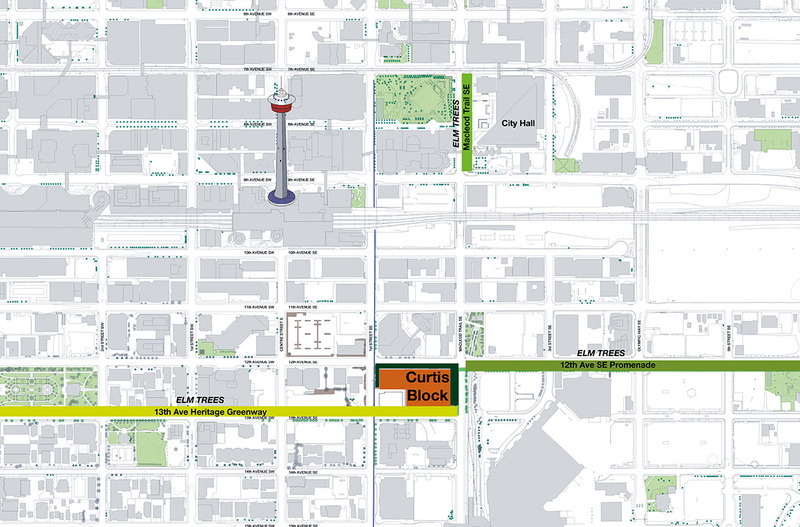 The Curtis Block is uniquely positioned to integrate the dynamism and density of the City Centre to the north, with the pedestrian scale and livability of the Beltline neighbourhood to the south. 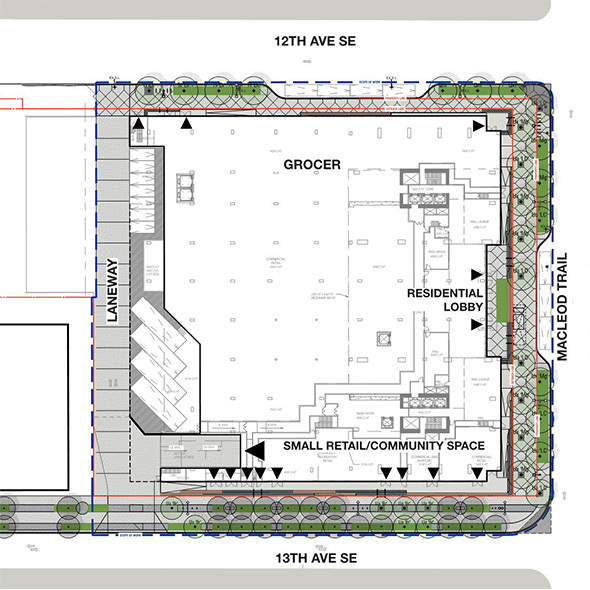 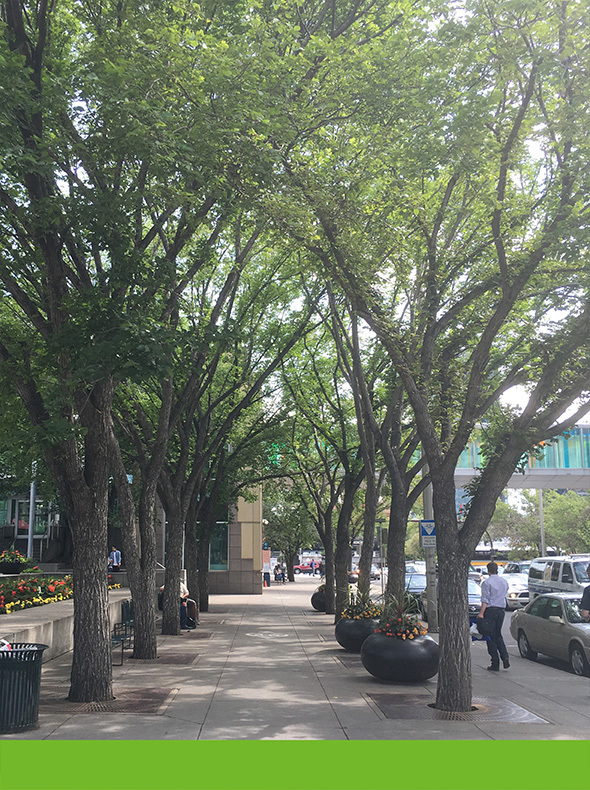 As a cross roads of intermodal overlap between city-wide systems (LRT and Macleod Trail) and local routes, the Curtis Block development proposes to integrate active building edges and long stretched public benches into a comfortable streetscape, optimizing livability for a dense pedestrian-oriented urban district. 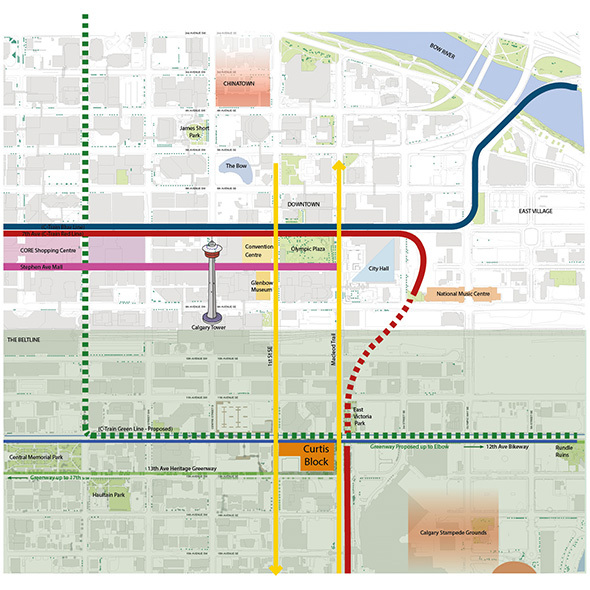 As well as connections with the surrounding city. 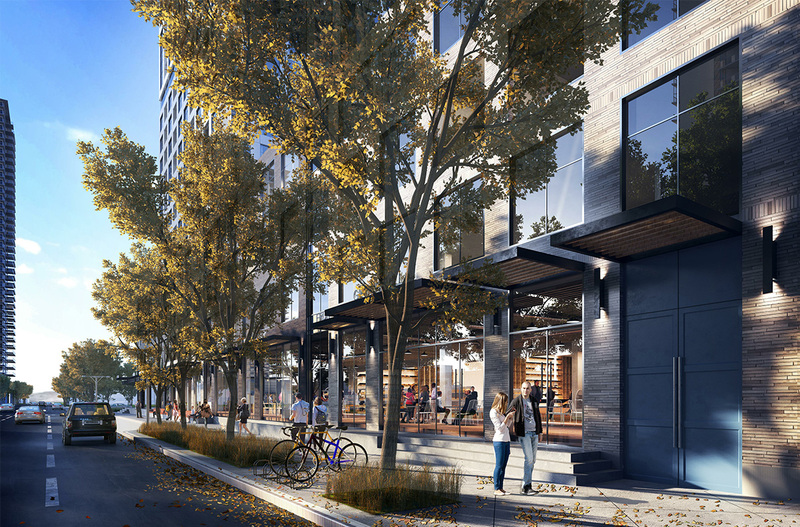 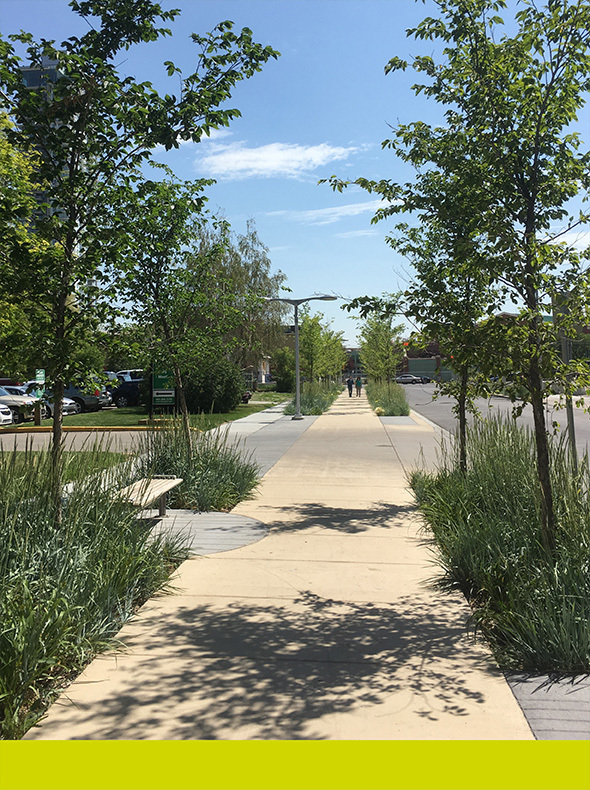 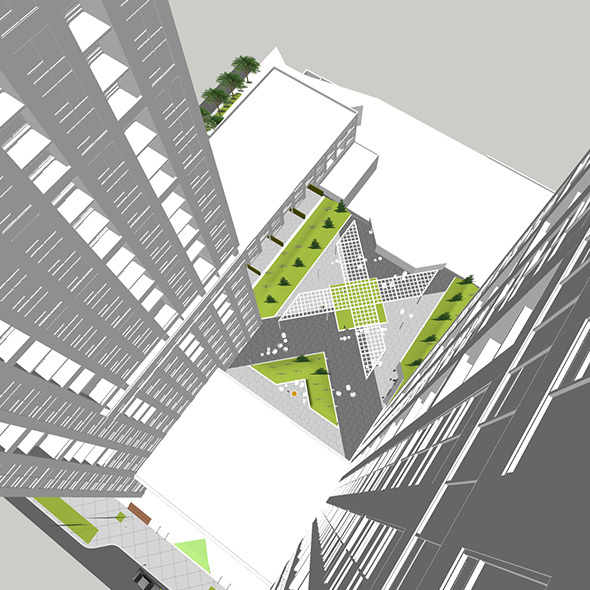 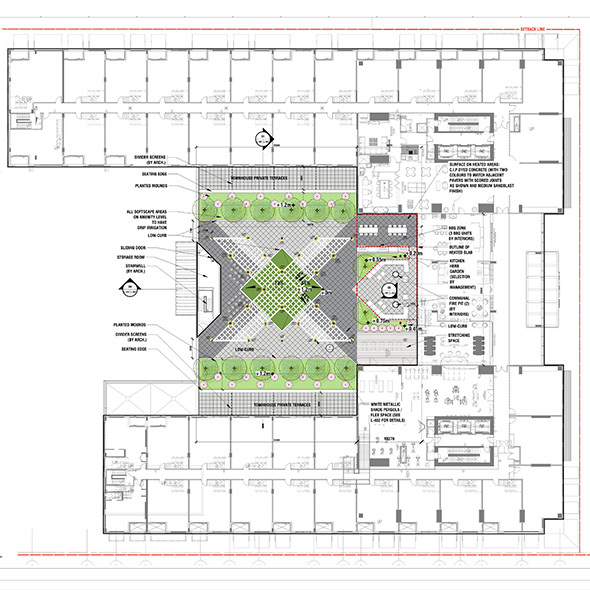 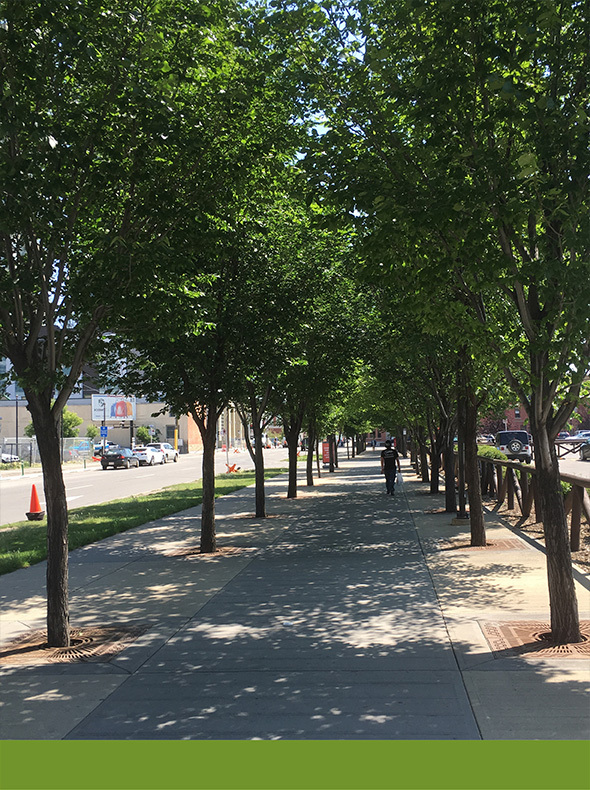 The streetscape aims to enlarge the urban forest through the design of large contiguous soil volumes that promote large healthy street trees and a robust tree canopy along the development perimeter of the block. 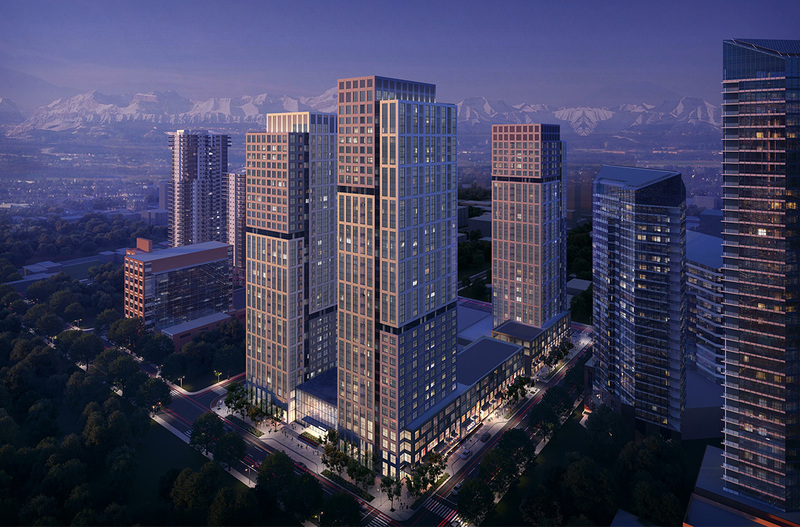 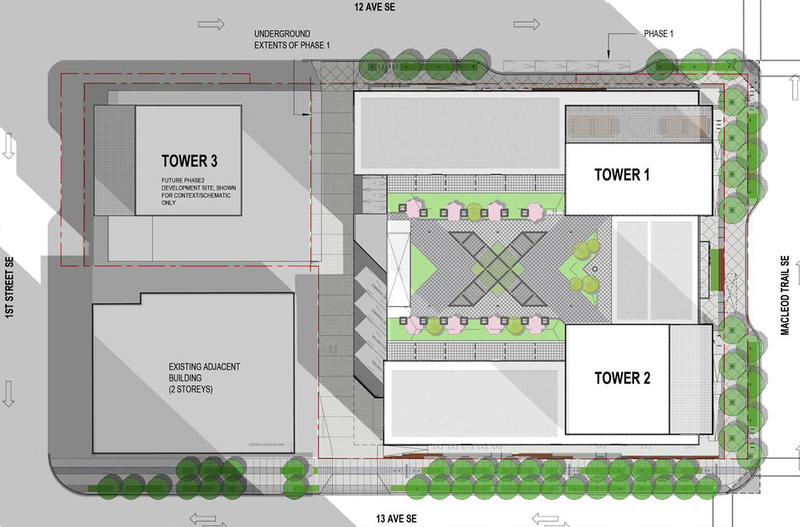 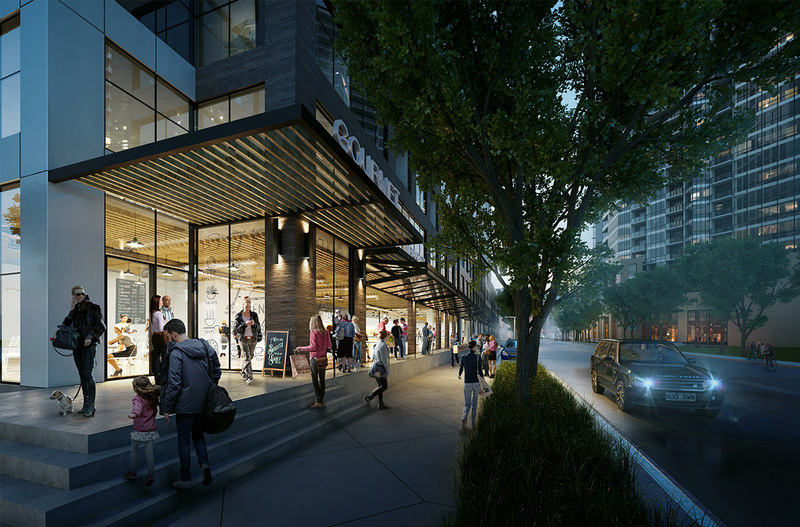 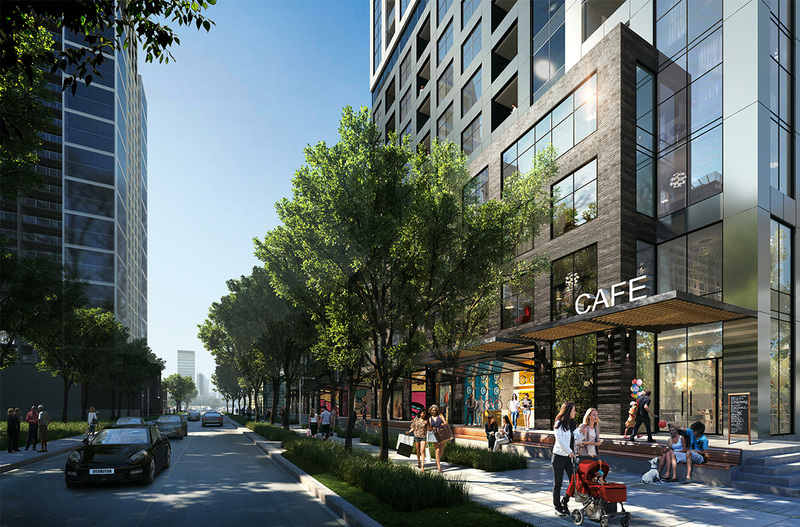 As a neighbourhood poised for future development, the design for Curtis Block aims to inform the future evolving urban design character for this emerging district.